AngularJS and jQuery both play an important role in front end web development. They are individually ruling the market today but which implementation is better is hard to decide. 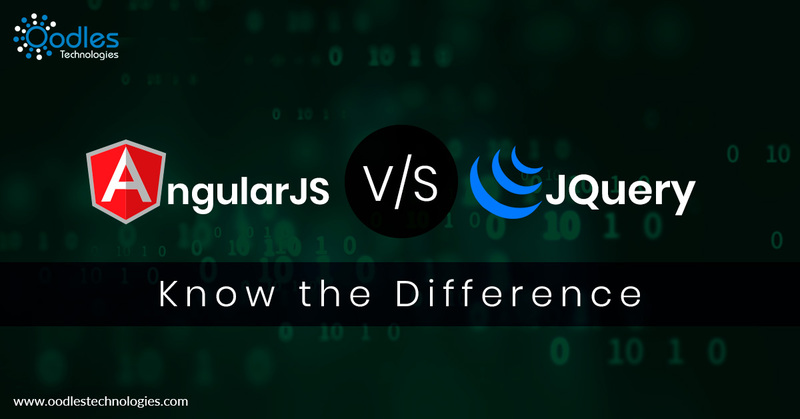 Here we provide you with the top 4 reasons why AngularJS is better than jQuery. AngularJS is a useful platform for front-end developers, as it provides them with a single integrated solution for web application development. With everything inclusive in it, this platform requires no external frameworks or plugins for building an application. AngularJS is a progressive platform due to which various web development companies are making use of it. This platform allows developers to use MVVM (Model View View-Model) patterns, dependency injection, REST actions, offers data binding, inbuilt templating using HTML and built-in unit testing APIs. It is easier to build a web application using AngularJS since it integrates easily with existing code and processes. The framework allows web developers to easily communicate between applications and cross method platforms. It is simple for AngularJS to integrate with jQuery at the time bootstrapping process. Even if the integration gets difficult, the developer can use the AngularJS’ library which is known as jQLite. While making changes to an existing application, AngularJS developers do not have to work a lot on it as the application works perfectly even when minimal changes are made in it. jQuery came prior to AngularJS and both have been powerful in web and mobile application development. In spite of being launched late, AngularJS dominates the web application development industry. The reason why every developer thinks AngularJS is perfect because it occupies lesser size and has lesser memory requirements in comparison to jQuery and other platforms. End to end testing is easier to run on AngularJS web apps but it is difficult on jQuery. AngularJS development offers scalability with no drawback at all. AngularJS has helped the application development companies to work on dynamic apps with HTML limitations. It becomes easier to build a website using AngularJS and it is absolutely free to use. With complete API documentation, examples, and tutorials to guide, this framework is perfect for the app development companies who have the responsibility of designing various dynamic applications in a day. AngularJS and jQuery both frameworks have their own set of limitations. If you are planning to get a web application developed for your company, contact us now!